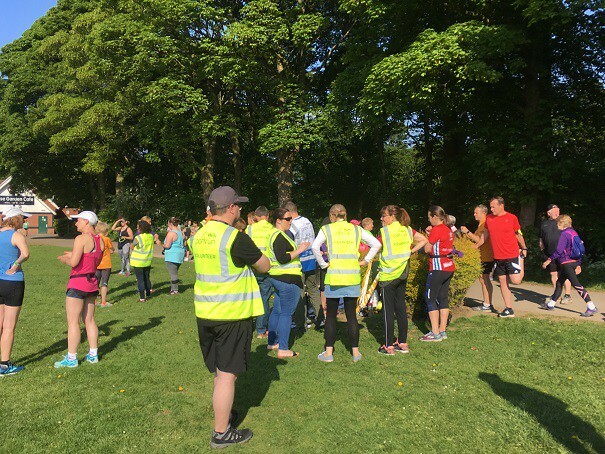 A beautiful, warm, sunny morning greeted the 269 people who congregated in Graves park for their weekly parkrun fix. 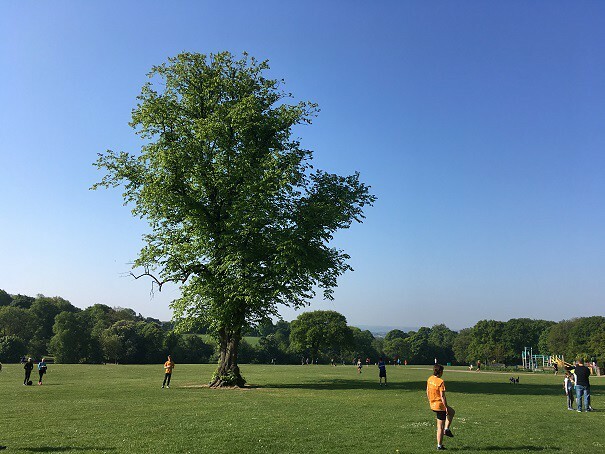 There was a definite sense of happiness and jubilation this morning – amazing what a dose of sunshine can do for the body and mind! 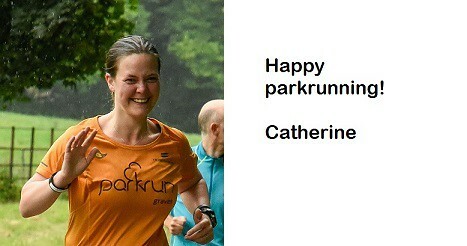 There were 30 first timers this week, 12 of these were doing their first ever parkrun. Well done to you all. 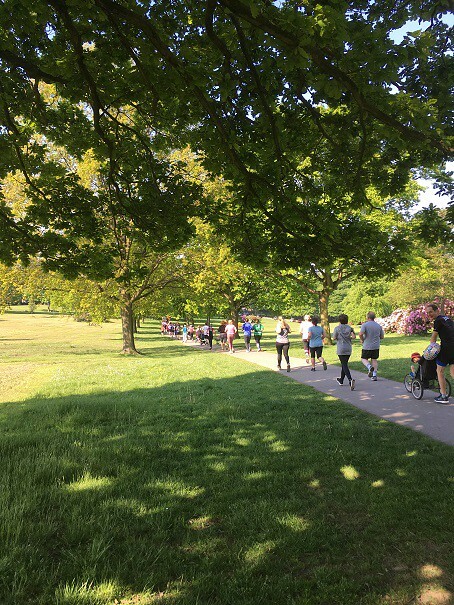 We had 18 people visiting Graves parkrun for the first time. We had shouts from Hertfordshire, Newcastle and Scotland to name but a few. Come back soon! Roger then went on to encourage those who haven’t yet volunteered at parkrun to give it a try. 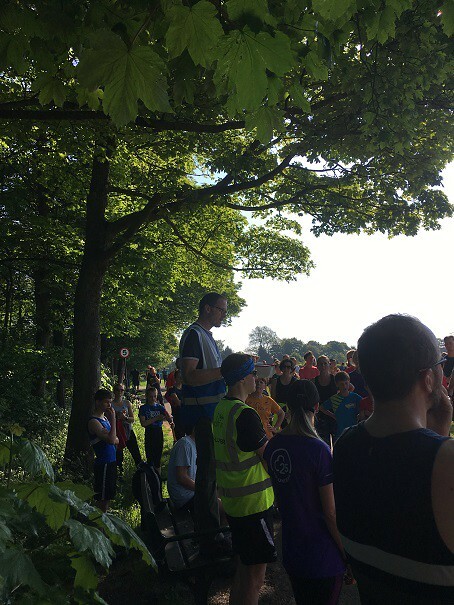 Roger (as many others do) sees volunteering not as giving up something at all but experiencing parkrun in a different light and giving something back. Please do consider getting involved. We had a nice selection of Milestones this morning. Congratulations to Edward HATFIELD and Ally BOOKER on their Junior 10th runs; Gillian BROWN, Alexander ROBINSON and Barry JACKSON on their 50th runs and lastly congratulations to Paul GILL who managed to complete his 100th run and his 50th volunteer! Fantastic achievement Paul and thank you from all at parkrun. Thanks also for the tiffin! There were 40 PBs this week. Well done. As of this week and for the foreseeable, we will all be running the doggy detour route up the field.